Meet your meat. Sear your flesh. You are what you eat so represent. 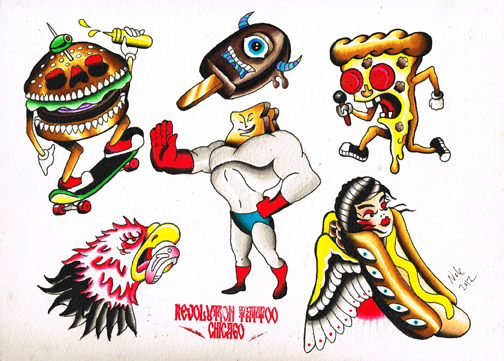 The legendary Cheri and OMs of Revolution Tattoo have been friends of our since the late 90's. Their creative bashes are always a blast. 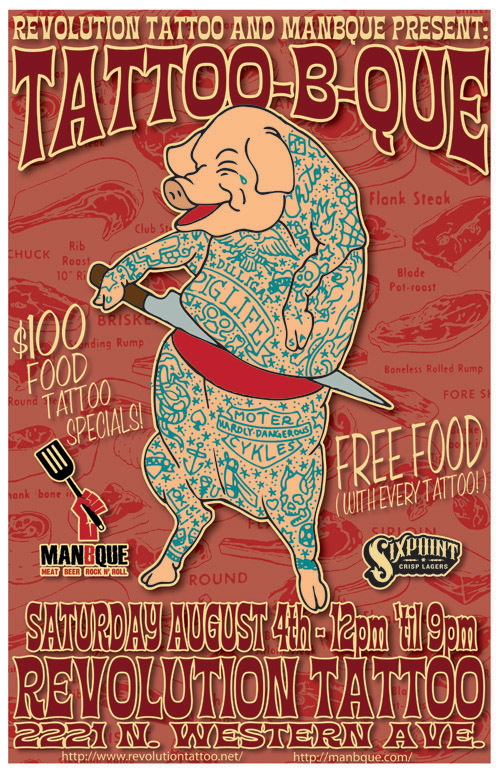 Check out their Tattoo-B-Que before Lollapalooza Saturday, then you can show off your new culinary scars. I have a friend who wanted to make "egg in a hole" tee shirts. Ya know, where you cut a hole in a slice of bread and fry an egg in the center. 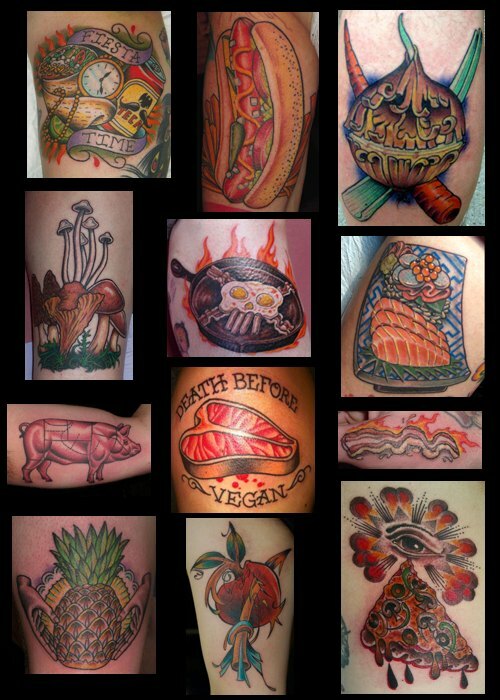 Could be a tasty tat.... That skillet skull is pretty sweet, too.